The Honor 20 or the Honor 20 Pro themselves are purported to be coming with Huawei's Kirin 980 SoC. 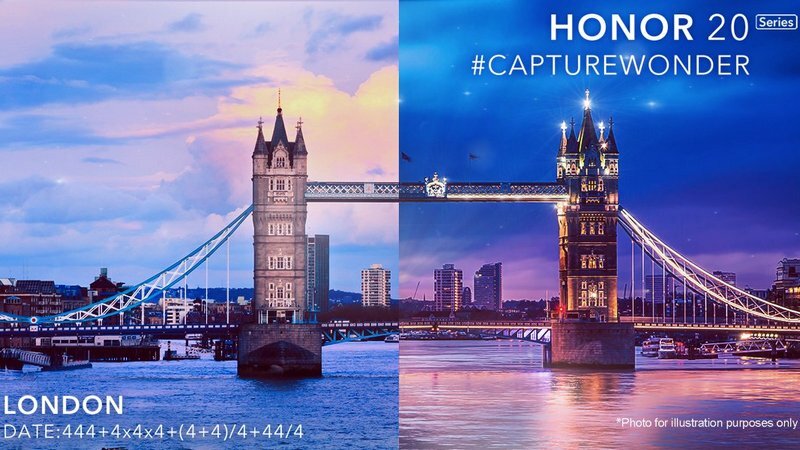 Honor is about to launch its next flagship called the Honor 20-series on 21 May in London. This appears to be the global launch of the smartphone. The Honor 20 series is likely going to include three phones which are the Honor 20 Lite, Honor 20 and Honor 20 Pro. The company has made the announcement of this series on its official Twitter handle but it did not announce what all phones it plans to launch. Looking at the launch invite we can say that the device or devices are going to be focused on the camera. There are also a lot of 4's mentioned with the launch date itself being an equation consisting of 4's which eventually works out to be 521 or 21 May. This four could either indicate four smartphone launches or four cameras. The Honor 20 or the Honor 20 Pro themselves are purported to be coming with Huawei's HiSilicon Kirin 980 SoC. The device could be coming with a triple-camera system, which should include the 48 MP Sony IMX586 sensor that we saw on the Honor View 20. On the front, we could also see a 32 MP camera and it might come with a display cutout setup. Software wise the Honor 20 should come with an Android 9.0 Pie with EMUI interface. Storage configurations should include 6 GB and 8 GB RAM options, along with 64 GB to 128 GB storage options. The Honor 20 Pro should be priced around CNY 2,999 (approx Rs 30,000). On a related note, the Honor 20i is already confirmed for a launch in China on 17 April. The phone is expected to come with a 32 MP selfie camera which is similar to the one seen on the Vivo V15 Pro. We should know more about the number of devices that are going to be announced as we approach the launch date.